Here’s the thing that strikes me. At some point in pretty much every stewardship conversation I will say, “Stewardship is about using the gifts God gives us to do the work God calls us to do.” And that’s when one of the most brilliant, delightfully predictable moments in my ministry begins. Every time. People grab a pen, put nose to paper, write furiously and point a finger skyward to hold me silent… and then they ask me to say the sentence again. 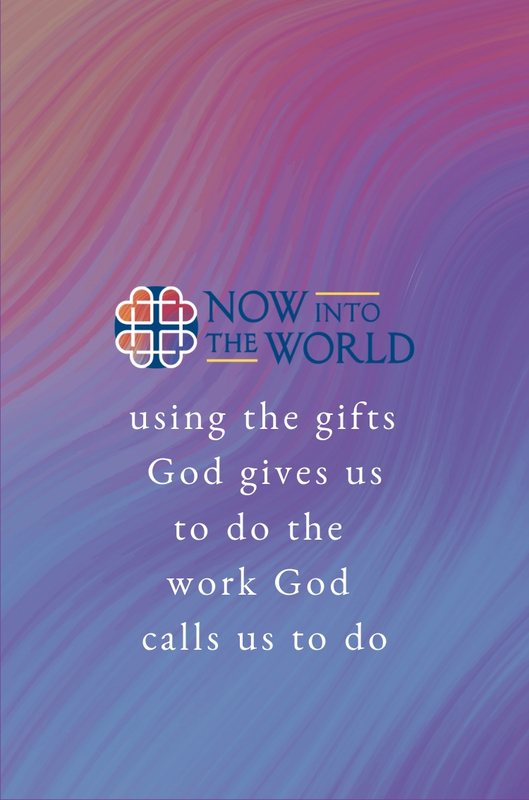 ‘Using the gifts God gives us to do the work God calls us to do’ is not a transactional statement about stewardship dollars. Of course it’s not. What it is, and what I believe is so compelling about these words, is the way they capture our most vital and fundamental relationships – our relationship with God, with the world around us, with ourselves – and with Christ. We are indeed disciples when our household economy is included in conversations about the household of God. Yet despite the Gospel model, when the dollars in our wallets are called to become a part of God’s Kingdom through our churches, many of us in ministry leadership witness a pivot with parishioners and with congregations. We see a turn toward spreadsheets over scripture, ‘plate and pledge’ conflating with evangelism, discipleship converting to arithmetic and generosity spiraling toward transactional. The urgency that numbers can create is understandable. It can also be paralyzing. For starters, no one wants to give to the Titanic. Often, urgency will create a momentary swell of giving, but the band-aid dollars that turn a spreadsheet from red to black temporarily will eventually cause a once vital congregation to atrophy. At some point people will decide not to give, because ‘giving just to keep the lights on’ is not the vibrant, relevant life in the Kingdom to which Jesus calls us. When we give just to keep the lights on, we are neither faithful stewards nor faithful disciples. Secondly, when congregations are dealing with an urgency created by numbers, they often become absorbed by how paralyzing it is. Congregations need to stop and take a moment to look inward when wrestling with how to steward their ministries faithfully. But those that stop and stay there miss hearing God’s call to pivot toward new life in the economy of God’s Kingdom. But it’s not transactional… right? Of the many ways to define stewardship, I find that one of the reasons ‘using the gifts God gives us to do the work God calls us to do’ resonates with such deep satisfaction is because it does border on the transactional. It is a theological statement that touches on a trending jargon in cultural currency. The relationship, in this instance, is between what we receive and the impact of what we – and God! – can do with it. This defining sentence is also satisfying to ministry leaders, because it gives us essential discipleship language for meeting people where they are. Even more importantly, it gives the folks we encounter the language to meet themselves where they are and to meet God. So now, this satisfying sentence that lives on the border of transactional becomes world-altering-Kingdom-multiplying-life-in-Jesus-Christ – transformational! Try these questions: How are you rich? How are you poor? How am I rich? How am I poor? These questions, offered in a recent address by the Rev. Dr. Sam Wells, vicar of St.-Martin-in-the-Field in London, resonate deeply with me. I hear them as essential discernment in the economy of God’s Kingdom – addressing every gift God gives us, and every response we can offer in God’s calls to us. Or these: Where are three points of energy in your life, whether challenges or opportunities? What is the value of each? What is the cost of each? Where is God in each? Oscar Wilde wrote about a man who ‘knows the price of everything and the value of nothing.’ Invite conversations about the differences between the value and price we put on the tangibles and intangibles in our lives, and where our conscious awareness crosses into unthinking. And even this: Will you carry this prayer card? Download. Upload. Print. Cut. Paste. Appropriate with abandon and without attribution – so that every time we open our wallets, you, I and all the people to whom and with whom we minister are mindful of our gifts and our call. Bonus: Invite people who carry the prayer card above (yourself included) to close each day with the Ignatian daily examen. Then be in conversation. With each other about the gifts God gives us. And with God about how we are called to use them. Julie Simonton joined the Diocese of Virginia office for congregational development and stewardship in August 2013. Her role is to provide hands-on guidance and resources to congregations in all areas of congregational life, focusing especially on development, including robust stewardship, creative hospitality and spiritual health. Her profile includes creating comprehensive annual giving programs for churches and directing diocesan retreats, conferences, and programming for annual conventions. Julie loves to be on the road presenting workshops at rural churches, around the Beltway, or at national conferences. She especially delights in conversations over coffee, during vestry retreats, or out in any-given parking lot when the Holy Spirit begins to bubble and people authentically engage with where Jesus is calling them to use the gifts that God gives us to do the work God calls us to do. Before joining the Diocese of Virginia staff, she was lay associate minister for family ministries and parish life at Grace Episcopal Church in Alexandria, VA.